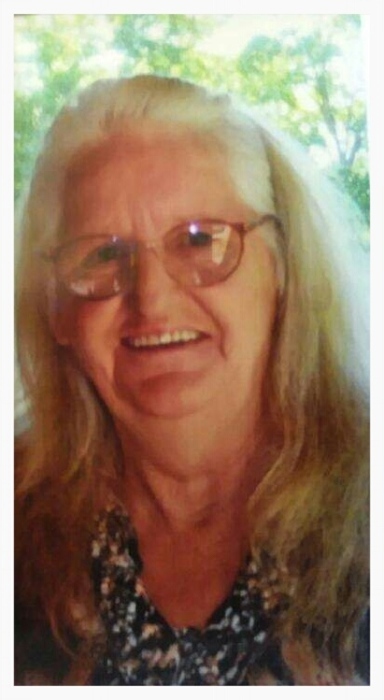 On Sunday, March 17, 2019 Deirdre (Dee) Elysse Nile Cass, 69, of Concord Twp lost her battle with lung cancer at Glenridge Rehabilitation and long term care, Comfort Care Unit in Augusta, Maine. Dee was born July 4, 1949 in Farmington, Maine to Maurice and Marion Nile. She was the oldest daughter and became a second mom to her younger siblings. She opened her house to anyone of her family members and friends that needed it. She could make a meal out of just about anything, she could take a meal for one and make it a meal for ten. No one was ever hungry. In 1968, she had her first child, and in the next 5 years had five more children, her two youngest were a set of twins. She joked that when she started having litters, it was time to stop having babies. Early on, she worked at various wood mills to support her family. Dee said her greatest accomplishment was raising her family. As a single mother, she went back to school, got her diploma, and went on be become a CNA. She worked the 3-11 shift while still raising her three youngest children. Later on, she worked as an activity coordinator at Maple Crest, a book keeper, cashier, a supervisor for Mt. Valley Property, and a cook. Her hobbies were reading, crocheting, cooking, gardening, fishing, spending time with family, laughing, and feeding everyone. Dee said the only thing she wanted in her life was for her family to be happy. She taught them all that even if they didn't have the money, they were rich; rich in kindness, strength, grace, and love. She was predeceased by her parents, her brother Maurice Nile, sister Renee Nile, her grandson Ethan Nile, and her three nieces; Dodie, Marisha and Kayla. Dee is survived by her husband Charles, and mother-in-law Jackie. Her children; Karen and husband Barry, Steene and wife Bethany, David and wife Kelly, Jon and wife Lisa, Beth and husband Rick, Conrad, Shawn and wife Karen, Leroy and wife Rachelle, Zach, and Ryan. Grandchildren; Jason, Jeff, Justin, Allen, Kaden, Kaleb, Lydia, Myranda, Julia, Chrislyn, Matthew, Jessica, Dave, Abbie, Olivia, Jeff, Alex, Nathan, Krysta, Kyle, Kaitlyn, Monica, Ricky, David, Joey, Josh, Lyndsie, Roger, Kinrick, Heather, Desiree, Calvin, and Justin. Her Great-grandchildren; Gavin, Isabella, Richard, Noah, Shania, Levi, Leah, Keira, Ricky, Jasmine, Ethan, Audree, Ayden, Hunter, Jackson, Devon, Kurtis, Serenity Emily and Justin. Her sisters; Amber, Kim and husband Calvin, Zaleen, Lu-wana and husband Scott, and Tioni and husband Jeff. Her brothers; Garland and wife Monica, and Derek and waife Nene. Dee was also survived by numerous nieces, nephews, friends, and loved ones. The family would life to give special thanks to Hospice Care, Glen Ridge, and Giberson Funeral Home. There will be a farewell to Dee (visitation) on Thursday, March 21, 2019 from 4-7 at Giberson Funeral Home, 40 Maple Street Madison Maine. A celebration of life will be held on Saturday, March 23, 2019 at The American Legion, 20 Maple Street Madison Maine starting at 4 pm.